Lost in the countless stories about the silly fights, soap operas and blame game that dominate the State Capitol these days is some credit given to where credit is due. Some Republicans in the House broke out of their comfort zone to support a partial sales tax extension in the special session…some Democrats are doing the same by supporting some regulatory reform bills in the general session…and a bipartisan group of stakeholders are taking some risk by expressing their support for a constitutional convention to rewrite that document for the first time in 44 years. Another person that deserves some credit this year is Cindy Rougeau. Ms. Rougeau is the executive director of the Louisiana State Employees’ Retirement System (LASERS) where she administers the retirement plan for state employees. She is known in the Capitol as a smart, aggressive advocate for her members and has traditionally been the lead voice against major efforts to overhaul the defined benefit system. This year, however, she is breaking out of her comfort zone and recommending a new hybrid approach. The legislation LASERS has proposed, SB 14, is authored by Sen. Barrow Peacock, Chairman of the Senate Retirement Committee. This bill would establish a mandatory new hybrid retirement plan for rank-and-file state workers hired after January 1, 2020. The hybrid would include both a defined benefit plan with a secure base benefit for employees – that acts like Social Security – and a defined contribution plan to add a level of portability for workers. The bill also allows existing LASERS members hired after July 1, 2006, to make an irrevocable choice to join the new hybrid plan after it is established. The member contribution to the new plan would be set at eight percent – four percent to the defined benefit component and four percent to the defined contribution component. The state would continue to pay an actuarially determined percent of payroll to the defined benefit component that includes payment toward the existing Unfunded Accrued Liability (UAL) as well as three percent of payroll to the defined contribution component. The members would have individual defined contribution accounts with the ability to manage those accounts. Members would be eligible to retire at age 65, and Cost-of-Living-Adjustments (COLAs) are pre-funded in the new plan at two percent every other year – but only when the system is at least 65 percent funded. In 2032, the actuaries estimate the UAL would be $100 million less in the proposed hybrid plan than it would be under the current plan. The Louisiana Association of Business and Industry (LABI) supports SB 14, and I personally commend Ms. Rougeau for taking the bold initiative to propose a well thought-out and actuarially sound compromise to a state challenge. 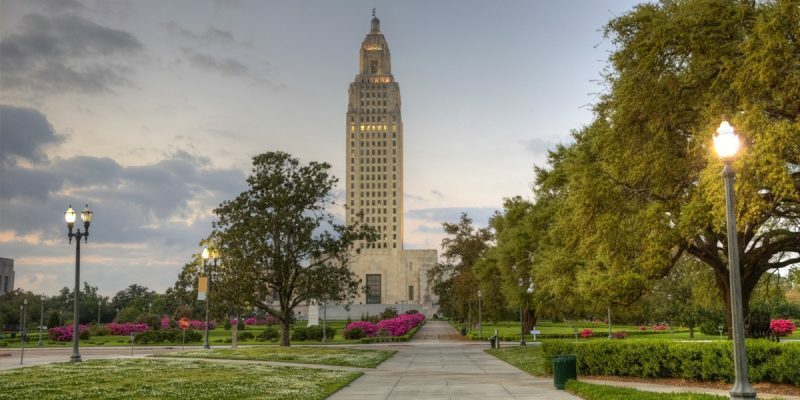 The Pew Center on the States recently estimated Louisiana’s unfunded pension costs at $19 billion, which represents more than 10 percent of state personal income and ranks the state at #12. The main retirement system for state workers – the LASERS – was 63.7% funded in 2017. The Louisiana Constitution guarantees a pension to state workers, but many states have already moved away from a defined benefits program to a plan that is more like the private sector that combines a guaranteed benefit of Social Security with a 401(k) or another type of defined contribution plan. Today’s workforce – in the private and public sector – is more likely to be mobile, agile and interested in pursuing various job opportunities throughout their career. In fact, LASERS research indicates that younger members of the state workforce are leaving the system at increasingly higher rates, and 70 percent of current members will receive no benefit and simply seek a refund of their contributions. The days of 30 years of service with one employer or industry in exchange for a gold watch and guaranteed pension is becoming less common. The market is changing, and commendably LASERS is trying to get ahead of that trend. Several years ago, the Public Affairs Research Council of Louisiana estimated the state spent $2 billion on state retirement programs out of a total state budget of $25 billion, noting this “figure well exceeds the state’s general fund appropriation for all state colleges and universities.” Furthermore, LABI estimates that the annual state payment for employer contributions for LASERS increased 80 percent between 2005 and 2018, putting a strain on the budgets of state agencies in an already challenging fiscal climate. The issues are real, and the solutions are complex. LASERS has offered up a solution that will be more cost-effective to the state and friendlier to the next generation of state workers as well. Like most compromises, it is not perfect and will not be applauded by everyone. However, it is a good faith proposal on their part and for that reason, folks should give them credit where credit is due.